Red Dead Redemption II has been out for a few weeks now, and it been receiving massive success and record-breaking sales. YouTuber TheDominoKing, known best for his pop-culture and video game-related domino masterpieces, has dedicated his latest project to the massive open-world Western. 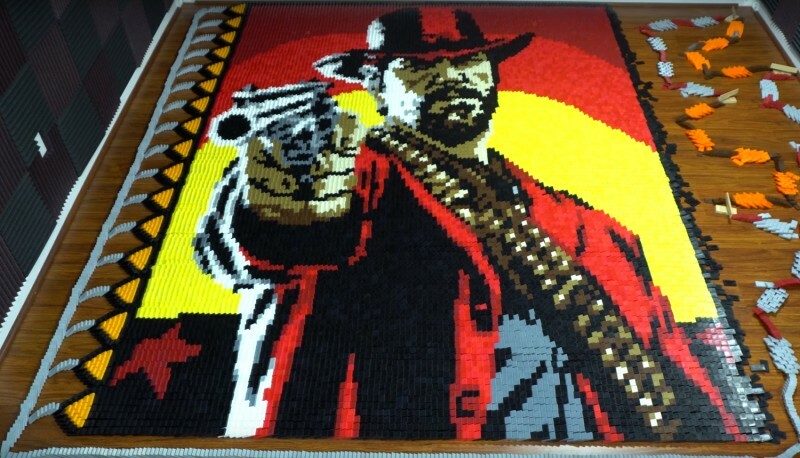 With 29,375 dominoes, TheDominoKing portrays Arthur Morgan, Red Dead’s logo, and one of Arthur’s quotes. It took a week to create, and he started before he even played the game. “I started working on this video before I even had the chance to play the game, so I had high hopes for the game, which I can gladly say it lived up to,” writes TheDominoKing in the YouTube description. You can watch the short but impressive video below. Check out our feature about the different directions Rockstar can take for Red Dead Redemption II’s story DLC. For more domino tributes, check out this one dedicated to Spider-Man.